The face of John Wesley (1703–91), the Methodist leader, became one of the most familiar images in the English-speaking and transatlantic worlds through the late eighteenth and nineteenth centuries. After the dozen or so painted portraits made during his lifetime came numbers of posthumous portraits and moralising ‘scene paintings’, and hundreds of variations of prints. It was calculated that six million copies were produced of one print alone – an 1827 portrait by John Jackson R.A. as frontispiece for a hymn book. Illustrated by nearly one hundred images, many in colour, with a comprehensive appendix listing known Wesley images, this book offers a much-needed comprehensive and critical survey of one of the most influential religious and public figures of eighteenth-century Britain. Besides chapters on portraits from the life and after, scene paintings and prints, it explores aspects of Wesley’s (and Methodism’s) attitudes to art, and the personality cult which gathered around Wesley as Methodism expanded globally. It will be of interest to art historians as a treatment of an individual sitter and subject, as well as to scholars engaged in Wesley and Methodist studies. It is also significant for the field of material studies, given the spread and use of the image, on artefacts as well as on paper. Peter S. Forsaith is a historian of religion, culture and society in eighteenth-century Britain. He is Research Fellow of the Oxford Centre for Methodism and Church History, Oxford Brookes University, UK, and has written and lectured on many aspects of Methodist history. He gained his Ph.D. in 2003 for a scholarly edition of Rev. John Fletcher’s letters to Rev. Charles Wesley, later expanded and published as Unexampled Labours (2008). He is a Fellow of the Royal Historical Society. 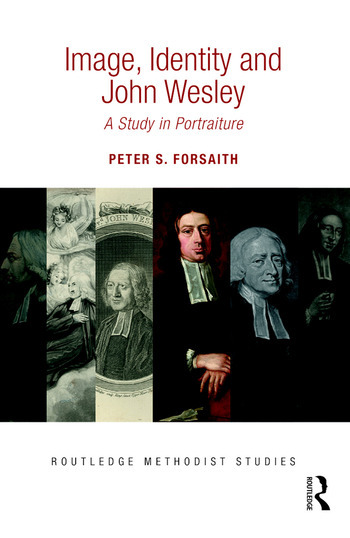 Image, Identity and John Wesley represents the fruit of more than twenty years of scholarly research by the author, who is recognised as a foremost expert on Wesley iconography.